Manuscript submitted April 23, 2011; resubmitted May 9, 2011; accepted May 9, 2011. Currently, 25-30 pancreas transplantations per year are carried out in type 1 diabetes (T1D) recipients residing in Czech Republic. Most of the recipients are transplanted together with kidney allografts, but pancreas is also transplanted alone in selected patients with brittle diabetes. Since 2005, the Institute for Clinical and Experimental Medicine (IKEM) islet transplant program was initiated as complementary therapeutic modality. The aim of this paper was to analyze the transplant program at our clinical center, and to examine the survival of recipients, and their pancreas, kidney, and islet grafts. Patient and graft survival rates were evaluated in the following three categories using Kaplan-Meier test: simultaneous pancreas and kidney transplantation (SPKTx), pancreas transplantation alone (PTA), and islet transplantation (ITx). Three hundred and ninety SPKTx, 34 PTA and 44 ITx were carried out between 1983 and 2010. One- and 5-year patient survival rates were 92 % and 81% in SPKTx, respectively. In SPKTx, the 1-year survival rate of pancreas grafts was 78%, and the 5-year rate was 66%. Kidney graft survival rates were 89% and 79%, respectively, after the same follow-up periods. In the PTA category, recipient survivals were 100% after 1 year, and 92% after 3 years. 70% and 65% of pancreatic grafts were working properly at 1 and 3-year follow-ups, respectively. To date, we have carried out 44 islet transplantations in 31 recipients. Islet function (C-peptide ≥ 0.2 ng/ml) was documented in 60% of recipients after 12 months. So far, only 3 patients remained free of exogenous insulin. While SPKTx is a well established treatment for uremic T1D patients, ITx represents an emerging complementary treatment modality. The latter is especially suitable for high-risk recipients, but routine clinical application is still hampered by the limited availability of usable organ transplants and viability of transplanted islets. Diabetes care in Czech Republic is organized by specialized diabetes centers, which provide a wide range of therapeutic approaches, including behavioral and dietary interventions, prevention and treatment of vascular complication, advanced treatment of diabetic foot syndrome, and application of insulin pumps and continuous glucose sensors. Despite enormous efforts to achieve near-normal blood glucose control, a significant number of diabetic subjects still progress to the stage of serious microvascular complications. To date, only transplant replacement of the insulin-producing tissue can result in long-term normalization of glucose metabolism. In 1983, after an extensive experimental work, pancreas transplantation became available to type 1 diabetic recipients with renal failure at the Institute for Clinical and Experimental Medicine (IKEM) in Prague, Czech Republic. The first series of patients included type 1 diabetic subjects suffering from end-stage diabetic nephropathy and very poor prognosis on conservative therapy. In these patients only a duct-occluded segment of the pancreas was transplanted simultaneously with the kidney . While insulin independence occurred in most cases and continued for as long as 25 years in some of them, severe early surgical complications were frequent, mostly caused by incomplete duct occlusion or vascular thrombosis. With improved immunosuppressive regimens and switching from segmental to whole organ transplantation, pancreas graft survival increased dramatically, and pancreas transplantation started to be an important part of care for type 1 diabetic patients . Since the 1990s, 25 to 35 pancreas transplantations per year are carried out in the Czech Republic corresponding to 2.5-3.5 per million inhabitants each year. This figure ranks the Czech Republic among the most active countries in Europe in this field. Simultaneous pancreas and kidney transplantation (SPKTx) is the most frequent type of transplantation. Pancreas transplantation alone (PTA) is carried out in non-uremic recipients. The number of PTA varies from 1-5 per year. As a complementary modality to organ transplantation, an islet transplantation program was initiated at IKEM in 2005. The numbers of pancreas and islet transplants are summarized in Figure 1. It is the aim of this survey to analyze the overall results and to report on patient, kidney, pancreas, and islet survival. Figure 1. Transplant activity at IKEM. The pancreas transplant program at IKEM started in 1983 after extensive experimental work. At present, 25 to 30 pancreas transplantations per year are carried out in the Czech Republic. Pancreas transplantation alone (PTA) represents less than 10% of all transplantations. Since 2005, when we started the program, 44 procedures have been carried out. SPTx: simultaneous pancreas kidney transplantation. PTA: pancreas transplantation alone. ITx: islet transplantation. Type 1 diabetic transplant candidates at IKEM are recruited from all over the Czech Republic. The aim of a complex medical assessment is to choose the optimal way of treatment from the possible options, The options include combined pancreas and kidney transplantation, kidney transplant alone (mostly from living donors), pancreas transplant alone, or pancreas after kidney transplantation; and also until recently, islet transplantation. For simultaneous transplantation, the recipients are placed on a distinct waiting list, which is separated from the all-national kidney waiting list. The order on the waiting list is based upon the entry dates. The recipients in individual blood groups are selected for transplantation according to the order of the waiting list regardless of their HLA match. Those waiting for islet transplantation alone (ITA) meet the same criteria as for PTA. The final decision between PTA and ITA is made with respect to the assessment of surgical and cardiovascular risk, and to the patient's decision. Donors up to the age of 40 years, and with a BMI lower than 30 kg/m2, are considered for pancreas, or pancreas and kidney, transplantation. Pancreata from donors, who do not meet the abovementioned criteria, are transported to the Langerhans Islet Laboratory for islet isolation. Pancreata are usually retrieved as a part of multiple organ procurement. At present, the histidine tryptophan ketoglutarate (HTK) preservation solution is used for cold organ storage. The upper limit for pancreas cold ischemia time is 12 hours. This is the retrospective single center analysis of pancreas and islet transplantations carried out between 1983 and 2010. Data were analyzed in three categories: SPKTx, PTA, and islet transplantation (ITx). All recipients underwent extended examinations prior to transplantation in order to exclude serious cardiovascular disorders, chronic infections, and expansion processes. Inclusion criteria for SPK transplantation were type 1 diabetes with negative C-peptide, age more than 18 years, glomerular filtration rate lower than 0.5 ml/s, or serum creatinine more than 250 μmol/l. Exclusion criteria were acute infection, malignancy in last 5 years, serious cardiovascular disorder, acute myocardial infarction, terminal cardiac failure, HIV infection, positive cross-match. The indication criteria for PTA are brittle diabetes with hypoglycemia unawareness syndrome, or frequent episodes of ketoacidosis (despite qualified diabetes education and appropriate medical measures), good renal function with proteinuria lower than 1 g/day, and clearance of endogenous creatinine higher than 1.0 ml/s. The selection for ITA follows the same criteria as for PTA. Written informed consent about transplantation therapy was obtained from all patients. When patients fulfilled the indication criteria, they were included in the waiting list. Data were obtained from local transplantation registry and patient medical records. Kidney graft failure was defined as return to dialysis or death. Pancreas graft failure was defined as death, return to insulin therapy or graftectomy. Technical failure included the loss of function due to thrombosis, bleeding, wound infections, or pancreatic leak. Immunologic failure included graft loss because of acute, or chronic rejection. Survival curves were plotted using the Kaplan-Meier method. Differences among groups were tested with log-rank test. Categorical variables were examined with Fisher exact test. Immunosuppressive regimens consisted of combination of polyclonal antibody (ATG, Fresenius, 8 mg/kg pretransplant and 3 mg/kg daily for 3 consecutive days after transplantation) with calcineurin inhibitors, sirolimus and mycophenolate mofetil (MMF) or azathioprin. Methylprednisolon was applied intravenously at a dose of 250 mg before transplantation, then changed to 125 mg daily for the next 3 consecutive days. Finally, methylprednisolon was replaced by oral form of steroids (20 mg/day). Steroids were gradually withdrawn until 6 weeks after transplantation in all recipients. A steroid-free protocol was used for islet transplantations. Prophylaxis consisted of piperacillin/tazobactam 4.5 g 3 times a day for 4 days, fluconazol 100 mg daily for 1 week, valgancyclovir or gancyclovir for 2 months and trimetoprim/sulfometaxozyl 960 mg weekly for 9 months. Between 1983 and 2010, pancreata from 390 donors were used for SPKTx. Mean donor age (± SD) was 26 ± 9 years. The mean number of HLA mismatches was 5, and mean mismatches in single antigens were 1, 2, and 2 for antigens A, B, and DR, respectively. At the time of transplantation, mean recipients' age (± SD) was 43 ± 9 years, and the mean time of diabetes diagnosis was 26 ± 7 years. At time of transplantation, 119 patients were transplanted preemptively, 204 were on hemodialysis, and 67 were on peritoneal dialysis. Mean cold ischemia times (± SD) were 12 ± 2.5 and 10 ± 2.5, for kidney and pancreas, respectively (Table 1). Legend: Data are mean ± SD or number. The overall cumulative patient survival rates (n = 390) at 1, 5, and 10 years were 92%, 81%, and 69%, respectively. The most common causes leading to death were cardiovascular disorders, sepsis, and tumors. Cumulative pancreas survival rates were 78%, 66%, and 53%, after 1, 5, and 10 years, respectively. Finally, cumulative kidney survival rates were 89%, 79%, and 64%, after 1, 5, and 10 years, respectively. In recent years, patient, pancreas, and kidney survival have improved significantly. When analyzing transplantations carried out since 2000 (n = 222), patient survival rates were 94%, 92%, and 82%, at 1, 5, and 10 years, respectively (Figure 2). Cumulative pancreas survival increased to 84%, 74%, and 66% in the same follow-up time. Similarly, non-censored kidney graft survival improved to 94%, 86%, and 78% after 1, 5, and 10 years, respectively. The most frequent cause of death was sepsis (39%, 30/93). In 19 recipients, the cause of death remained unknown. Malignancies resulting in death occurred in 10 cases. Acute myocardial infarction (n = 7), pulmonary emboli (n = 5), stroke (n = 8), bleedings (n = 3), liver failure (n = 1), and sudden death (n = 5) were responsible for the rest of the mortality cases. Figure 2. Cumulative patient, pancreas, and kidney survival rates in simultaneous pancreas and kidney transplantations assessed from 2000 to 2010. Cumulative patient survival rates were 94%, 92%, and 82%, after 1, 5, and 10 years, respectively. Pancreas survival rates were 84%, 74%, and 66% in the same follow-up period. Non-censored kidney survival rates were 94%, 86%, and 78%, after 1, 5, and 10 years, respectively. Survival curves were plotted using the Kaplan-Meier method. From 1984 to 2010, rejection was responsible for most of the failed pancreas grafts (36%, 29/80). Twenty-four percent of pancreatic grafts (19/80) were explanted due to thrombosis. Other reasons leading to graft failure included bleeding (n = 8), pancreatic leak (n = 3), and wound infection with or without fluid accumulation (n = 8). In 12 recipients, data about pancreas graft failure were not available. Technical complications resulted in the loss of 6 kidney grafts, and immune reaction caused the loss of 33 kidney grafts. In the early 1980s, 38 pancreas segments were transplanted into type 1 diabetic recipients suffering from end-stage renal failure. The pancreatic duct was occluded with prolamin, and duct obliteration was done after pancreas revascularization. Blood supply was reconstructed with interposition of the splenic artery into the iliac vessel. Grafts were placed intra-peritoneally (n= 32) or extra-peritoneally (n = 6). The 2-year patient cumulative survival was 72%. Fifty-six percent of kidney grafts were still functioning after 2 years. Only 35% of pancreatic grafts kept their functions during follow-up time. The technique was accompanied with higher incidence of thrombosis (24%) and intra-abdominal infections (15%), which negatively affected morbidity . On the other hand, 4 subjects from this historical series remained insulin independent for 20 years or more. In 2004, we introduced the enteric drainage technique with extraperitoneal placement of the pancreatic graft. Duodenoenteric anastomosis was done through a small incision in the peritoneum with extraction of a loop of the jejunum. The graft remained easily accessible to percutaneous biopsy and ultrasound examination, while the risk of intra-abdominal fluid collection or infection was low. Cumulative patient and pancreas graft survival rates were slightly, but not significantly, better than the bladder drainage technique (94% and 87% after 1 year, 91% a 74% after 5 years, respectively). The rate of seriously relapsing of urinary tract infection decreased by a half (9%, 21/212). One- and 5-year kidney graft survival rates were 98% and 92%, respectively, which was significantly better than the bladder drainage technique (Kaplan-Meyer curve, longrank test, p = 0.0002). Whilst extraperitoneal pancreas placement almost eliminated serious intra-abdominal infections, it caused prolonged wound healing and sometimes to longer hospital stay . The effect of pancreas transplantation on progression of diabetic complications is questionable as most of the recipients suffer from advanced stages of microvascular complications at the time of transplantation. However, data from small studies, with recipients of pancreas transplantation alone, showed a positive impact. In our cohort we examined the effect of pancreas transplantation on diabetic retinopathy, autonomous polyneuropathy, and regeneration of subepidermal nerves. Autonomic diabetic neuropathy was studied in 29 SPKTx recipients pre- and post-transplant using standard Ewing battery and spectral heart rate variation. In this group of recipients suffering from advanced forms of neuropathy, significant improvements were observed, although subjective symptoms seemed to be much better in the group of patients with functioning pancreatic grafts . In the next project, we studied intra-epidermal nerve fiber density (IEFND) in 18 recipients of SPKTx with median follow-up time of 29 months. At baseline, significant IENFD reductions were observed in SPKTx in both regions, thigh and calf. At follow-up time 21-40 months (median 29) after SPK, IENFD increases could be observed in three thigh patient, but no significant IEFND changes occurred in the transplanted group . In a prospective study of 43 normoglycemic SPKTx recipients, we performed ophthalmologic evaluation with mean follow-up of 44 ± 35 months. The studied group was compared with a group of patients having a functioning kidney but a failed pancreas graft. More than 78% of patients in both groups underwent a laser therapy. Fundoscopic findings were significantly better in normoglycemic SPKTx recipients in comparison to both baseline values and findings in the control group. Moreover, patients with a functioning pancreas graft required additional laser treatment less frequently than those without functioning pancreas . 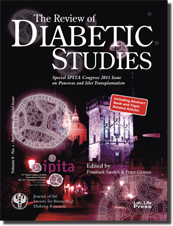 Only type 1 diabetic patients without serious renal impairments were selected for pancreas transplantation alone (n = 34). The one-year patient survival rate was 100% (Figure 3). Insulin independence was achieved in 70% of recipients. Almost 60% of patients suffered from some kind of serious adverse post-transplantation events (defined as events requiring relaparotomy, surgery, prolonged or new hospitalization). In 4 cases, early graftectomy was performed due to thrombosis. Wound infection occurred in 7 recipients. Biopsy-proven acute rejections were diagnosed in 2 cases. Three recipients suffered from life-threatening bleeding, but all three were still alive after one year, and none lost their pancreas graft. Other complications were rare and included pancreas fibrosis, acute respiratory failure, and deep venous thrombosis. In all subjects with functioning grafts, insulin therapy was withdrawn, and glucose metabolism stabilized at normal fasting and postprandial glucose levels, without the risk of hypoglycemia. Figure 3. Patient and pancreas survival in the PTA category, 1997-2010. One- and 3-years patient survival rates were 100% and 93%, respectively. Pancreas survival rates were 70% and 64%, after 1 and 3 years, respectively. Survival curves were plotted using the Kaplan-Meier method. Between 2005 and December 2010, we carried out 36 islet implantations in 28 recipients. Different recipient categories are listed in Table 2. Indication for islet transplantation was presence of the hypoglycemia unawareness syndrome, with 3 or more severe hypoglycemic episodes per year. Legend: ITA: islet transplantation alone. SIKTx: simultaneous islet kidney transplantation. SILTx: simultaneous islet liver transplantation. IAT: islet autotransplantation. The first category includes recipients of islet transplantation alone. Non-uremic patients (n = 15) were diagnosed with brittle diabetes when they had at least 4 severe episodes of hypoglycemia or ketoacidosis in the last year, despite adequate education. The recipient age ranged from 40 to 58 years, with a median of 38 years. The mean BMI was 22, and on average diabetes had been known for 25 years. The average daily insulin dose was 37 IU per day, and long-term diabetes compensation was unsatisfactory, with a mean HbA1c of 7.8% (above normal limit of 4.0%). This cohort of recipients underwent 21 islet implantations. On average, each patient received 744,228 islet equivalents. The mean number of implantations was 2. Steroid-free immunosuppressive regimen consisted of tacrolimus (trough levels 4-8 ng/ml) and sirolimus (trough levels 8-12 ng/ml). Two doses of ATG (3 mg/kg) and one dose of 125 mg methylprednisolone were used for induction. The cumulative patient survival rate was 100% after 5 years. The mean insulin daily dose at 3 months after the last islet infusion decreased to 14 ± 8.7 IU per day. Long-term metabolic control significantly improved, and mean HbA1c decreased to 5.3 ± 0.7%, after one year. After 12 months follow-up, fasting C-peptide levels remained positive in 11 of 15 recipients. Its mean value (± SD) increased from zero to 0.2 ± 0.02 pmol/l at 24 months after the first infusion. None of these recipients suffered from severe hypoglycemia as long as their C-peptide remained higher than ≥0.2 ng/ml. In 4 cases, islet function failed at 12 months as their daily insulin doses reached the pre-transplant values. One recipient remained insulin independent for more than 3 years. The transplantation procedure itself was uncomplicated in 8 of 15 recipients. Transient elevation of liver enzymes was observed in 50% of recipients. In 5 recipients, transplantation was complicated by liver bleeding. In 2 cases, laparotomy was needed. One patient experienced a vasovagal syncope with symptomatic bradycardia, perhaps due to irritation of peritoneum during portal vein puncture. In one case, biliary tract was punctured, but the subsequent cholestatic icterus spontaneously resolved without intervention. The second and third categories included simultanoues islet and kidney transplantation (SIKTx, n = 5), or simultaneous islet and liver transplantations (SILTx, n = 3). Islets were transplanted into the inferior mesenteric vein in case of SIKTx, or directly to the portal vein in case of SILTx. All implantations in both groups were uncomplicated. Proper islet function was observed in 3 of 5 SIKTx patients and in all 3 SILTx recipients, 2 years after procedure. One recipient from each category remained insulin independent for more than 1 year after transplantation. Islet autotransplantations were done as rescue therapy in patients after partial pancreas resection, who subsequently suffered from leaks of their pancreatojejunal anastomosis. Pancreatectomy was indicated due to chronic pancreatitis, adenocarcinoma of Vater papilla, adenoma of pancreas, and adenocarcinoma of ductus choledochus. The number of islets obtained from the pancreatic cauda varied from 60,000 to 200,000 islet equivalents. In 3 out of 5 cases, we detected relevant fasting C-peptide levels at 12 months post-transplantation. At 1-year follow-up all patients were alive and had a stabile glucose metabolism. With an average number of 2.5 pancreas transplants performed each year per 1 million inhabitants the Czech Republic belongs currently to EU countries with the most active pancreas transplant program . Also, islet transplantation has become available as a complementary option for recipients with a higher surgical risk, or for those who are not willing to undergo a major surgical procedure, as needed with pancreas transplantation. Type 1 diabetic subjects with advanced diabetic nephropathy, or with an extremely instable metabolic course, are evaluated in a single national institution enabling a close cooperation of diabetes and transplant specialists. This enables us to offer SPK transplantation to almost all type 1 diabetic patients with end stage renal disease, who do not have obvious contraindications, and who are not scheduled for kidney transplantation from a living donor. Patient and graft survival rates are similar to those reported by IPTR, which summarizes predominantly US data . Gruessner et al. analyzed data from US centers and reported a survival rate of more than 95% in SPKTx and PTA categories, after 1 year follow-up. The analysis included 22,618 pancreas transplantations done between 1966 and 2008 . An update analysis with data until 2010 and almost 25,000 cases is included in this issue . The three-years patient survival rate was higher than 90% in all categories [10, 11]. Most of the non-US centers reporting data to IPTR were from Europe. Overall, the 1-year patient survival rate was equal for non-US (94%) and US cases (95%). Non-US centers reported 1-year pancreas survival rate of 87% and a 1-year kidney survival rate of 92%, without significant difference between US and non-US centers . Data from Asia were collected by the WHO and from one small study conducted in Japan. The results showed a 100% 1-year patient survival rate. Pancreas and kidney graft survivals were 92% and 91% after 1 year, and 80% and 91% after 5 years, respectively . Data from Latin America were predominantly collected from Brazil, and showed slightly worse outcomes in all categories. One-year cumulative patient survival was 82%. Pancreas and kidney survival rates were 70% and 78% after 1 year, respectively . The separate waiting list and selection of preferentially young and lean donors for this type of treatment could have been important factors that improved recipient survival and prolonged graft function. The relatively small number of potential candidates on the waiting list practically excludes selection of organs according to HLA matching. Surgical techniques were developed in analogy with other centers, and were mainly related to the management of pancreatic exocrine drainage. Bladder drainage had a negative impact on long-term kidney graft survival, which concurred with a higher rate of urinary infections. Therefore, enteric anastomosis became the preferred technique and the extraperitoneal site was selected for pancreas placement. However, wound healing was more often complicated by local infections, and patients stayed in hospital for more than 6 weeks on average. Since last year, we have started to use retrocolic placement of the pancreas graft with a portal venous anastomosis . Though preliminary results are encouraging, this novel technique needs to be evaluated later. Successful pancreas transplantation immediately restores normal glucose metabolism. We have observed positive effects of normoglycemia on stabilization of diabetic retinopathy in most recipients. A similar positive effect on diabetic polyneuropathy was not observed [16, 17]. Although some centers reported improvement in nerve conduction velocity, our recipients of pancreas transplants did not show nerve regeneration or improvement of functional indices. Short-term follow-up and the small number of recipients might be the main causes for this failure. Presumably, nerve damage, if developed for many years, would require longer time of normoglycemia for remarkable recovery. Pancreas transplant alone represents less than 10% of all pancreas transplantation in our center. It is only designated for a small and carefully selected group of recipients. Candidate recipients are usually of young age with less advanced micro- and macrovascular complications such that their expected survival is significantly better than SPK recipients. On the other hand, the incidence of technical complications is higher, with thrombosis being the main cause of graft failure. Several centers reported positive impacts on recipients’ quality of life and on early stage of diabetic nephropathy. These encouraging data raise questions about optimal timing of transplantation therapy. It is reported that islet transplantation does not restore normoglycemia as good as pancreas transplantation (Collaborative Islet Transplant Registry, 2006). Therefore, we decided to isolate islets only from pancreases which do not fulfill criteria for organ transplantation. Consequently, we had lower rates of successful islet isolations. In general, we utilize more organs from deceased donors for clinical transplantation. Complete insulin independence was achieved in only 10% of cases so far, but almost all patients significantly improved their long-term metabolic control, as compared to their pre-transplant status. Such an improvement would not be possible without functioning islet grafts. Data from the Epidemiology of Diabetes Interventions and Complications (EDIC) trial showed that previously sustained near-normal glycemia had extended benefits on delaying microvascular complications, even if the improvement was only transient . Therefore, with regard to patient and graft survival rates, number of transplant candidates, and availability of suitable donors we suppose that our donor and recipient selection is appropriate in the current era of beta-cell replacement. Changes in this allocation system may be expected with improvements in islet isolation techniques and methods of islet implantation.